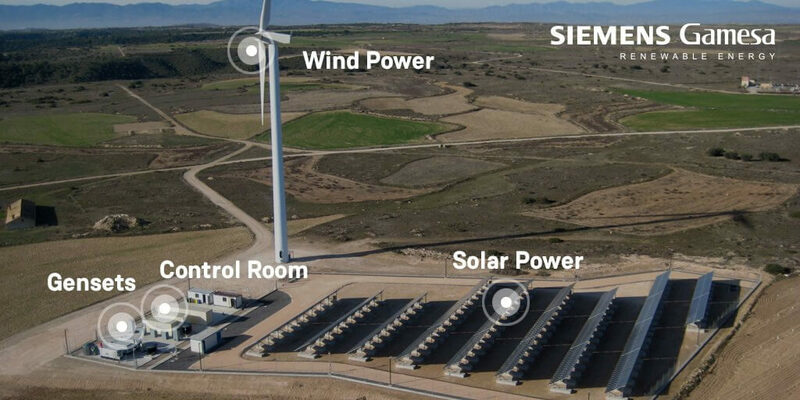 Siemens Gamesa Renewable Energy (SGRE) has commissioned a redox flow energy storage system at its hybrid wind and solar La Plana project near Zaragoza, Spain. According to SGRE, hybrid projects of wind energy, solar PV and other energy sources are becoming a more and more attractive option to drive the energy transition to higher shares of renewable energy. Read more here. Arizona’s largest solar plus storage plant starring Tesla, First Solar and NEXTracker, PV Magazine. Arizona utility Salt River Project has brought together a technological trifecta in its recently commissioned single-axis tracker 20 MW solar plus 10 MW/40 MWh energy storage power plant. The Chinese inverter maker will be supplying inverters, batteries and management systems for projects in California, Massachusetts and Ontario. Ensia. The increasingly competitive dynamic duo of solar photovoltaic plus battery storage is taking energy markets by storm. Global EPC firm Metka, best-known for building gas-fired power plants, is increasingly focusing on energy storage. This entry was posted in Electric Vehicles, Energy Storage, NewsBlog and tagged benefits of renewables+storage, Nebraskans for Solar NewsBlog, renewables+storage, U.S. energy storage development on May 30, 2018 by Helen Deffenbacher.